FROM NOW ON, THE MAINTENANCE DAY WILL BE CHANGED FROM WEDNESDAY TO TUESDAY. So, this week, there will be server maintenance on Mar. 12th. 2019. Event for March - Destroy the NGC munitions factory! New update is waiting for us! 1. Destroy the NGC munitions factory! - After maintenance of 13th, you can move to [memory of past] via warp shop. - When you move to past via warp, you can see the giant munitions factory of NGC. - The multiple energy shield is protecting NGC factory for producing war supplies safely and the force of NGC is arrayed in map..
- Please destroy the NGC factory against invasion of enemies! - Munitions supply box of 2019 is renewed! - You can get these below items with low probability from munitions supply box. 2. Attendance event of March! 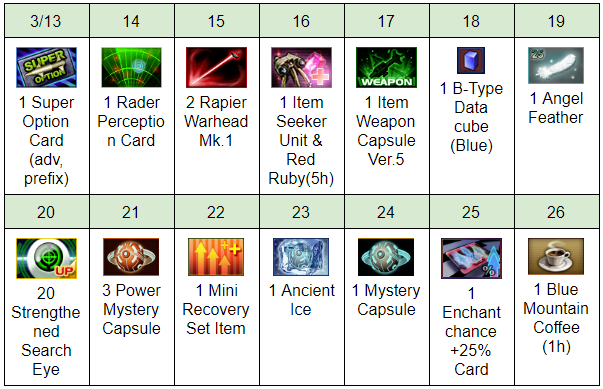 ● These Items will be given after a hour from your log-in in event period! ■ Bonus event in weekend! ● You can get 1 mini stealth card once, after a hour from login in weekend! ● Time : 12:00~24:00 p.m.
● 3 more strategy points will be added. 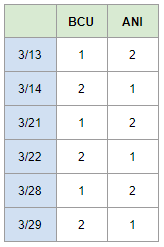 ● In event period, the number of additional strategies is same (9 points). ● Happy hour buff will be applied from Friday to Tuesday. ● In this event period, effect of armor of this month will be applied on below armors. RESULT of "SHOW YOUR MONKEY" event! First, thank you for every participation in the event! We enjoyed your screenshots and it was hard to choice the winners. Here is the result of this event. There will be no server maintenance on March, 6th, 2019. There will be server maintenance on FEB. 27th. 2019.